Looking to get lost in the magic of The Vieux Carre, but not, you know, really lost? Leave your guidebook behind and bring only your sense of wonder during this 2-hour exploration of the crown jewel of New Orleans! 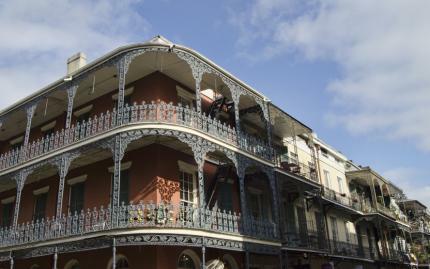 The French Quarter is rife with old world charm, as you'll quickly find out for yourself. You'll travel alongside a friendly local and experienced storyteller, getting an inside look at the city's culture and history. As you walk, you'll visit popular sites such as the United State's oldest cathedral and opera house. You'll learn about pirates and profiteers, voodoo magic, the city's Creole roots, and the preservation efforts that have gone into keeping the city's history alive. Note: Tour must meet a minimum of 3 people to run. Exact meeting location provided upon confirmation of booking. Tours run rain or shine and are non-refundable. If tour is cancelled due to minimum (3 persons) not being met or extreme weather, you will be given the option to reschedule or receive a refund.